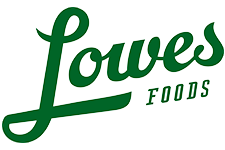 Here are the deals in the Lowes Foods Ad 4/29-5/5. Check out the Stock Up Sale Event where you can save $10 on your next trip when you buy $50 in participating items. While supplies last. See gift cards for terms, conditions and (if applicable) fees. No rain checks, Limit 1 coupon per transaction. Del Monte Gold Pineapple, $3.99 ea.